Mazda’s awkwardly named Mazda3 (do I call it a Mazda Mazda3, or just a Mazda3?) has been a best-seller in each of its previous generations. 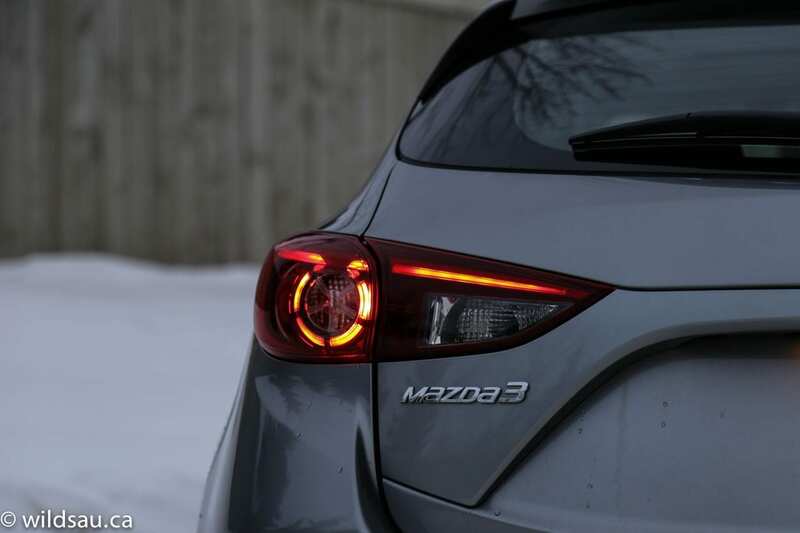 Though Mazda messed with the recipe, they were sure to consider the things that were working well – the completely redone Mazda3 Sport continues to do so many things right, that it’s hard not to love it. Mazda made some big changes here. The dimensions aren’t vastly different, but the shape sure is. 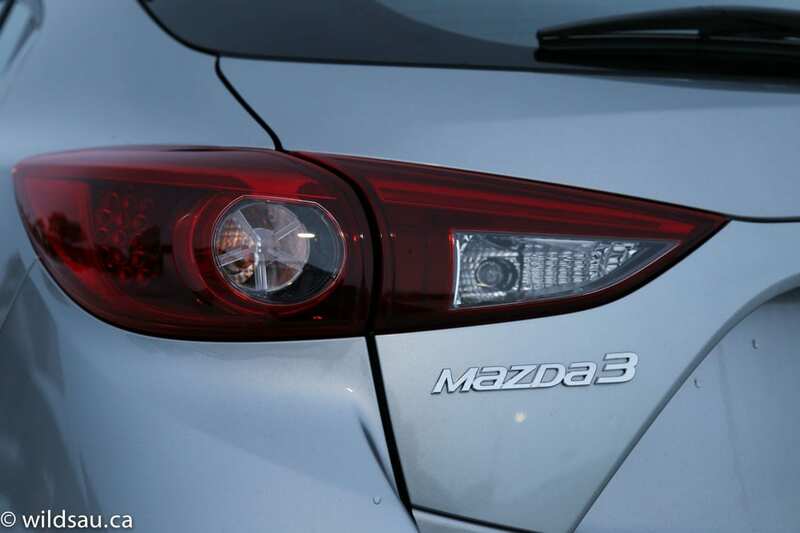 The lines reflect Mazda’s KODO design language and I really like the 3’s new proportions. From a couple of angles it looks like a miniature shooting brake with its long hood and short, tall rear end. The front end incorporates Mazda’s new corporate grille, which is a good thing. 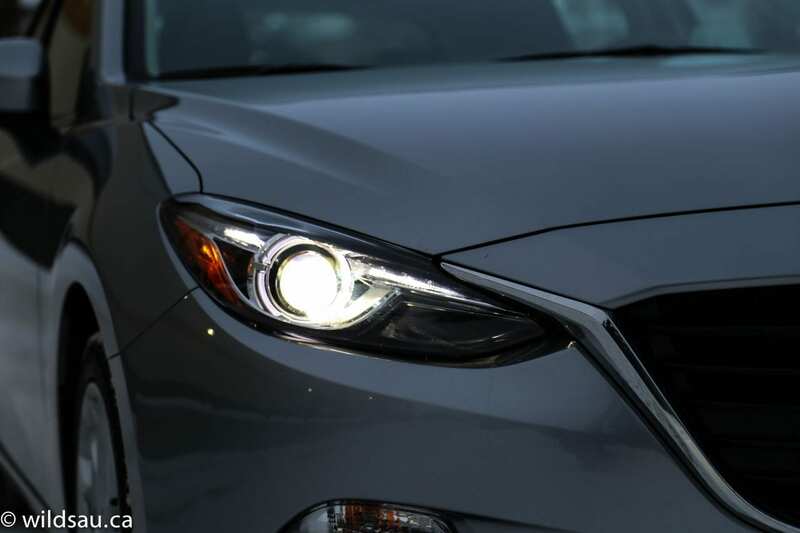 It manages to combine that grille and bi-xenon headlights with LED driving lights to great effect, exuding an air of aggression while remaining friendly and happy looking. And thankfully, we’ve bid the previous generation’s ridiculous toothy grin adieu. I dig the sculpted line that follows the headlight pods’ arcs and continues running alongside the hood all the way to the front door handle. It looks muscular and beautiful. A similar line stars mid-rear-door and swoops up, carving powerful rear flanks out of the body and leading the eye to the handsome rear end, which gets lovely LED tail lights and dual exhaust tips. The new lines also give the rear end a broader, more planted stance. In my opinion, the tautly-drawn lines give an impression of power, sport and energy. Fenders are filled by awesome 18-inch rims wearing 215/45-sized tires. They are really handsome, and it’s a shame they’re not available on lower trims. 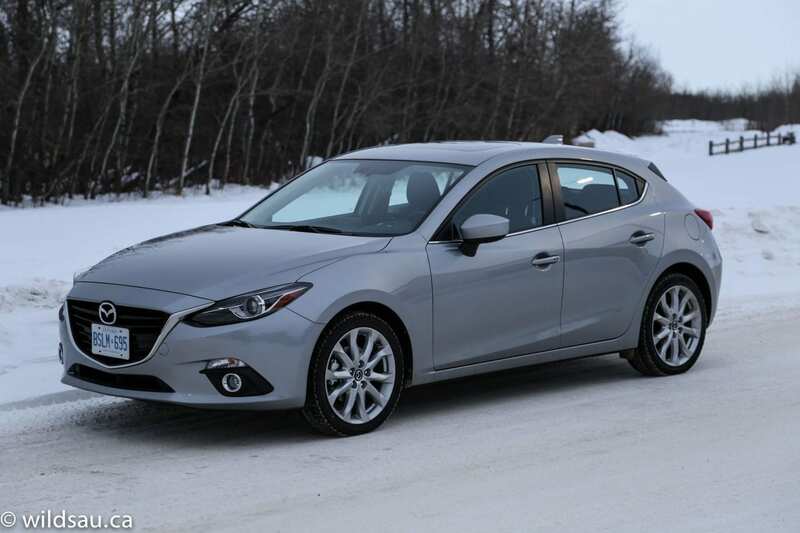 I found that the new Mazda3 comes across as an expensive vehicle, and a number of others commented on that too, saying it looks more upscale than it prices out as. 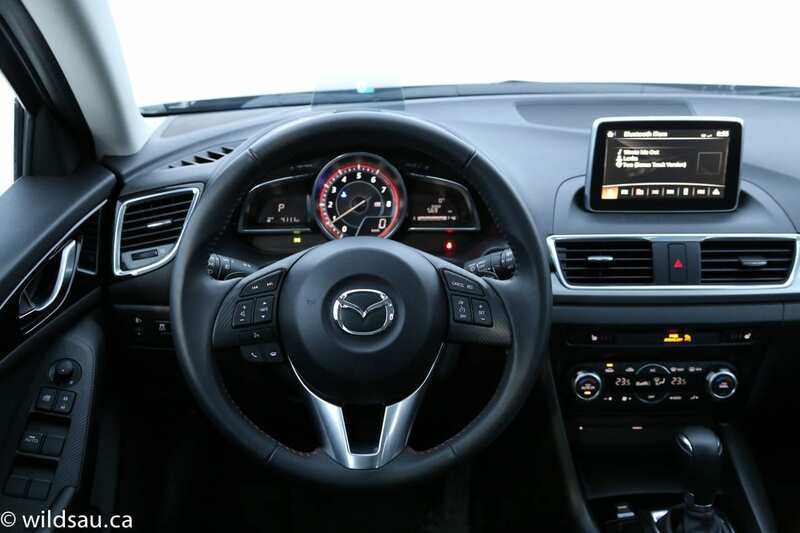 The Mazda3 gets a nice upgrade in materials – the dash is made out of textured, soft-touch plastics. Additionally, soft touch surfaces seem to cover most places where your hand might fall. The dash’s sculpting has character but nothing crazy. It’s well done. There are tasteful splashes of brightwork across the dash and around the air vents which really help to brighten up the interior. 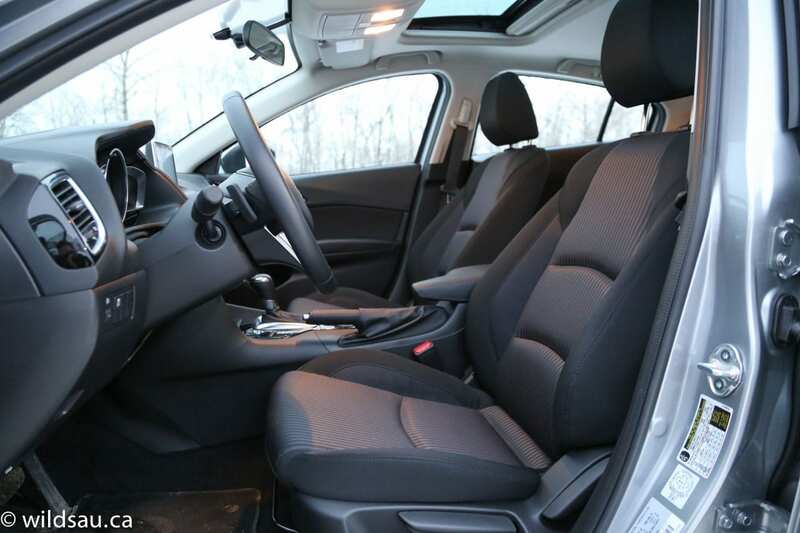 The manually-adjustable heated fabric seats are comfortable and offer excellent bolstering support. Ahead of you is a fantastic steering wheel – it’s very comfortable and has the perfect thickness, grippiness and diameter. 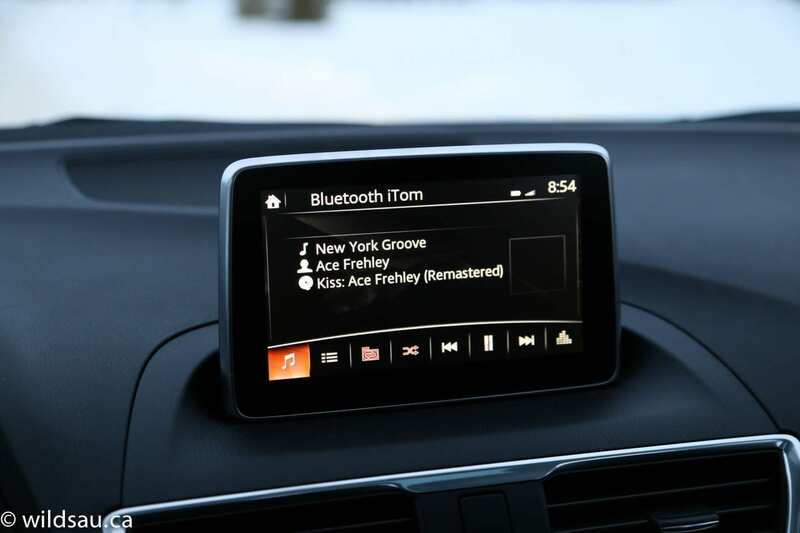 It has controls for phone, driver information screen, media and cruise. Behind the wheel is a simple instrument bin – there’s a large central tach with a digital speedometer in the bottom right corner. On the left is a little screen with the gear indicator and your trip meters, on the right is another little screen with the fuel gauge and the driver information centre which is a simple affair that covers fuel range, average and instant fuel economy and your average speed. 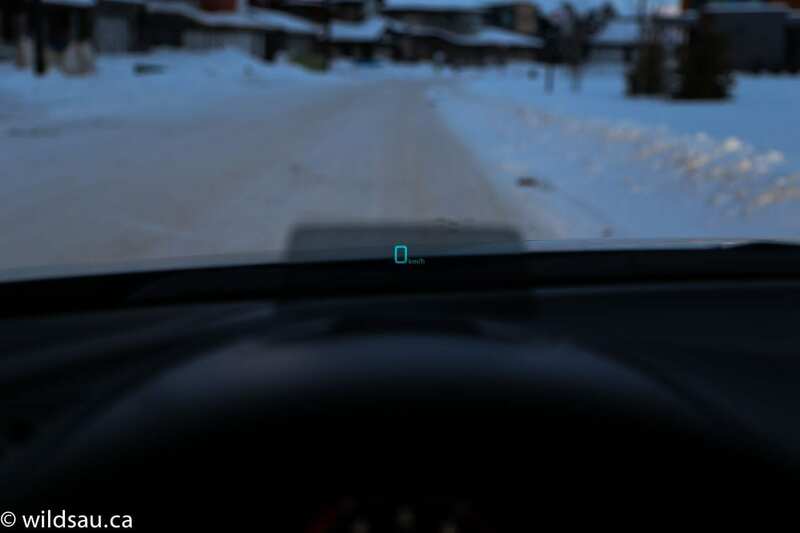 To help keep your eyes close to the road, there’s also a heads-up display. It’s a simple and effective tinted, curved piece of plastic that silently swings up from the top of the instrument bin lid and displays a digital speedo and the navigation directions. Brilliant. Floating above the centre of the dash is a 7-inch touchscreen system. 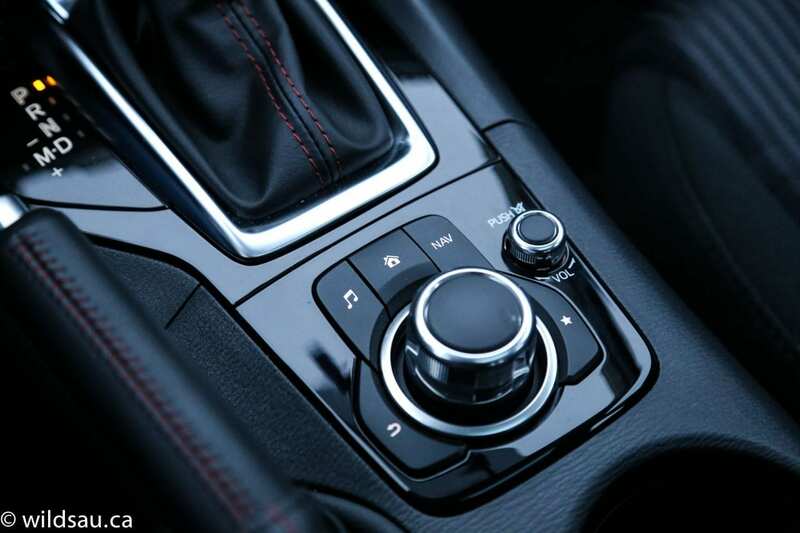 It’s a bit of a reach for me and I preferred to use the HMI interface – a combinations of a few hard buttons (audio, home, navigation and back) and a slick rotary joystick knob. The screen manages your phone, media, navigation, settings and the rear-view camera. 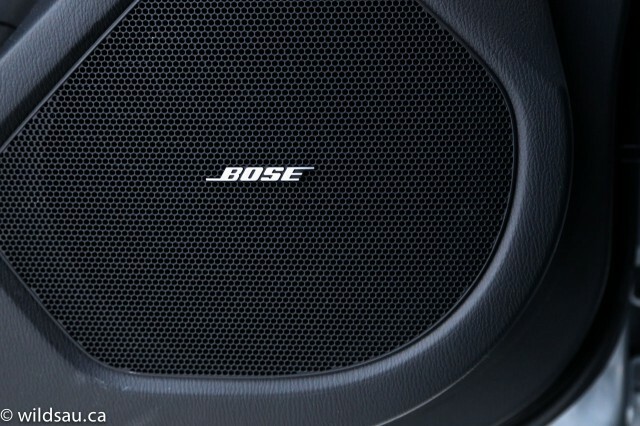 The BOSE sound system with 9 speakers sounds pretty good. Other than that, the stack holds a dual-zone automatic climate control system. The centre console is home to the gear selector, a traditional parking brake lever, the HMI controller, dual cupholders and an armrest. Entry is keyless and there’s a push-start ignition. Overhead is a tilt/slide sunroof. The back has three seats, each with a seatbelt and a headrest. The headroom is surprisingly generous for this class of car, offering plenty for my 5’10” frame with a couple of inches to spare. Legroom is OK and there’s good foot room under the seats. the two outboard seats are comfortable and feel spacious. 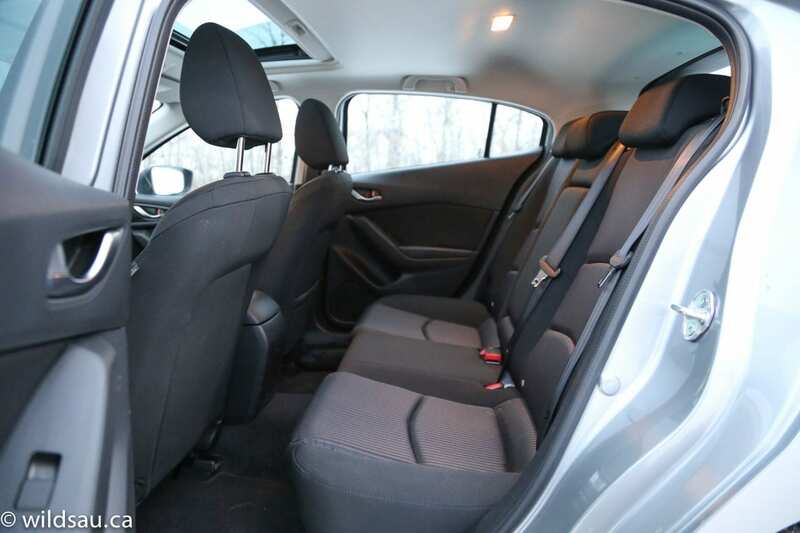 The middle position is narrow and raised and unfortunately the centre console comes back quite far and meets up with a significant tunnel on the floor – this makes for a crappy seating experience for anyone sitting in the centre. There are two sets of LATCH anchors for children’s seats – our three kids felt pretty crammed in the back in terms of width, and nobody was happy sitting in the middle. There’s nothing else going on back there other than a single, solitary seatback map pocket – no door bins, no charging plug, nothing. The middle seatback folds down to become an armrest with two cupholders. There are a few places to put your stuff. I loved the shallow, rubberized drop-in tray at the front of the centre console – a perfect place to put your parking pass or smart phone. Under the lid of the armrest is a deeper (but relatively small) carpeted storage bin (with a removable organizer tray above it). You’ll also find 2 USB plugs, an auxiliary plug and a 12V charging plug. The glove compartment is surprisingly large, but the door bins are nothing more than bottle holders. 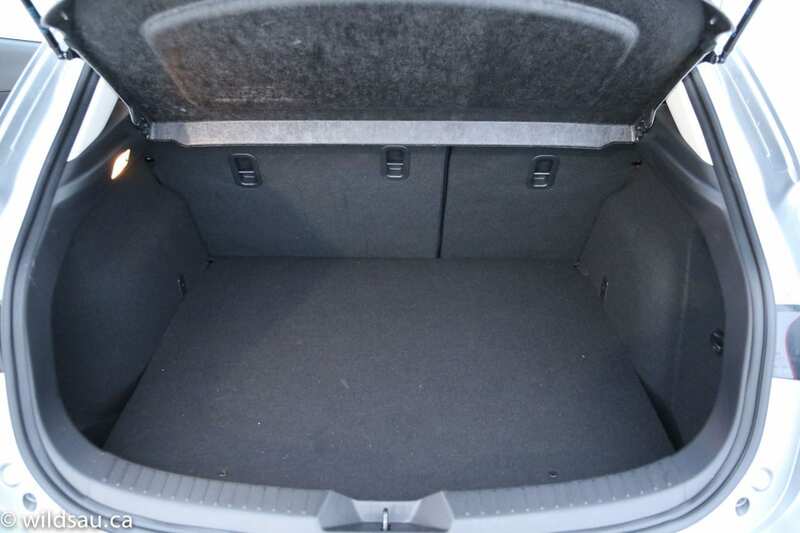 For a smaller car, the 3’s trunk holds a lot in its 572 litre space. There’s also a removable hard parcel shelf that you can throw stuff onto. Fold the second row seats flat (they split 60/40), and you get a huge 1334 litre cargo room. There’s a full suite of Mazda’s somewhat nebulous SKYACTIV technology under the sheet metal of the new 3. Front and centre is the 2.5-litre SKYACTIV inline-4. I was definitely not smitten with the smaller SKYACTIV 4-cylinder that made its way into the last generation of 3 and felt it came across as somewhat weak and tepid. Not so the new 2.5-litre one. It makes 184 horsepower at 5700 RPM and a surprising 185 lb.ft of torque at nice, low 3250 RPM. It sends its power on to the front wheels through a 6-speed automatic. Though it’s not a complete feather-weight, the 3 Sport remains light-ish at 3031 pounds. 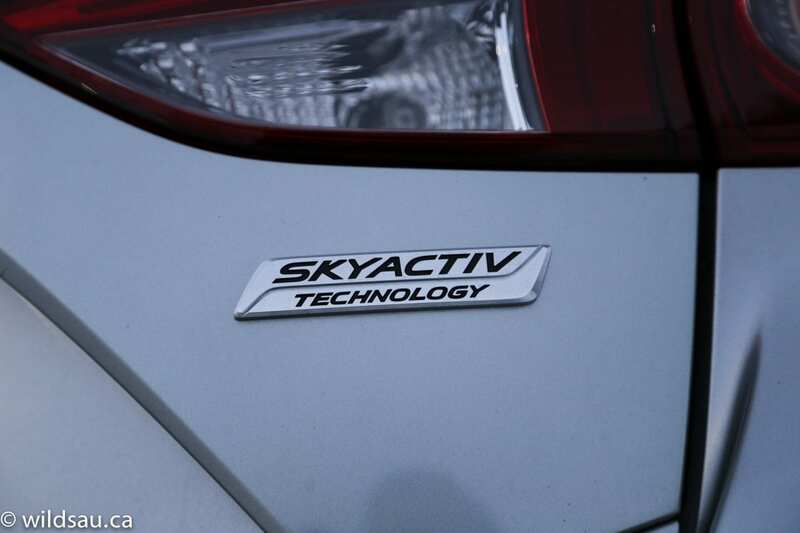 Mazda’s SKYACTIV mantra chants about efficiency. Fuel economy is rated at 7.5 L/100 km (31 mpg) in the city which is OK to 5.4 L/100 km (44 mpg) on the highway which is in hybrid-a-couple-of-years-ago territory. The 3 has a 50 litre tank and takes regular fuel. I averaged an impressive 7.2 L/100 km (33 mpg) during my week. It was cold, snowy and gross outside and the car did its typical slow city commute duties as well as a few extended highway jogs. 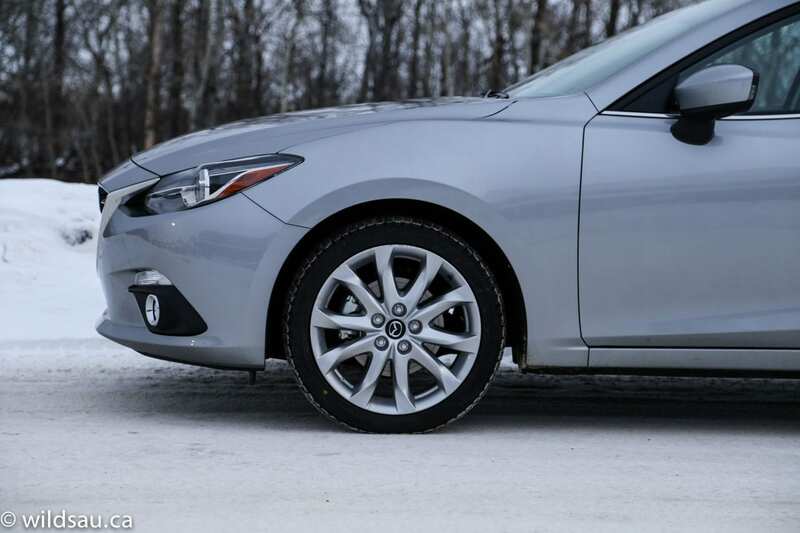 The driving experience has been and remains a strong point for the Mazda3. 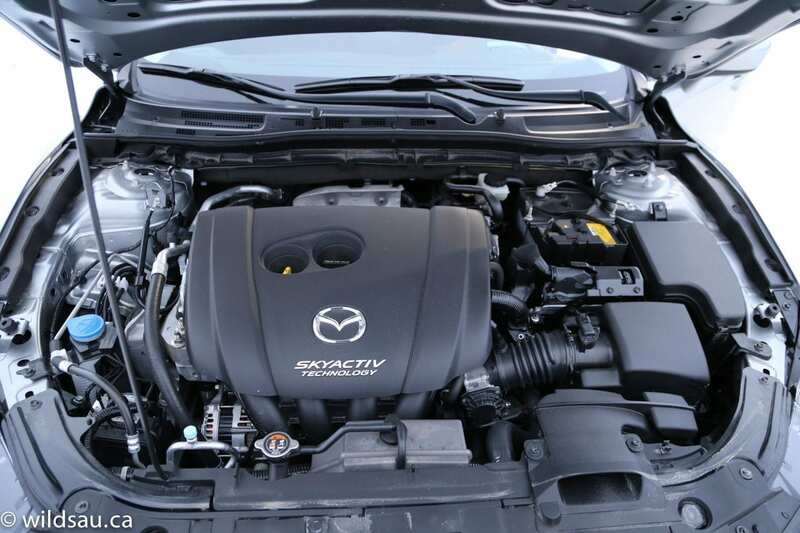 The new, bigger engine does a great job and I found it to be refreshingly responsive and torquey without a laggy feeling – essentially it addresses my biggest gripes with the smaller SKYACTIV engine. It’s not a particularly fast car, but it feels powerful enough in every situation. The 6-speed transmission is smooth and intelligently programmed. It has an effective Sport mode – it won’t transform the car, but it holds on to gears longer and really makes the car feel a bit more edgy. The gears can also be shifted manually using the paddle shifters or the gear selector – shifts aren’t super fast but fast enough. The real joy comes in the sure-footed handling department. It’s excellent! The 3’s steering is precise, turn-in is sharp, the car stays flat and nimbly tackles any kind of corner or curve with abandon. I always got the impression that the car actually wants you to play and that it wants to be an active participant in the fun. The ride is comfortable, but firm enough to feel sporty. Mazda has done noticeable work to keep everything about the 3’s driving experience quiet. 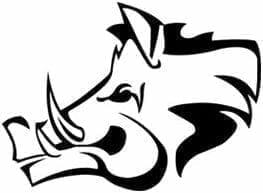 Though the engine makes nice snorty sounds under throttle, everything else remains quiet – wind, road and drivetrain sounds are well-dampened, even at highway speeds. Impressive. 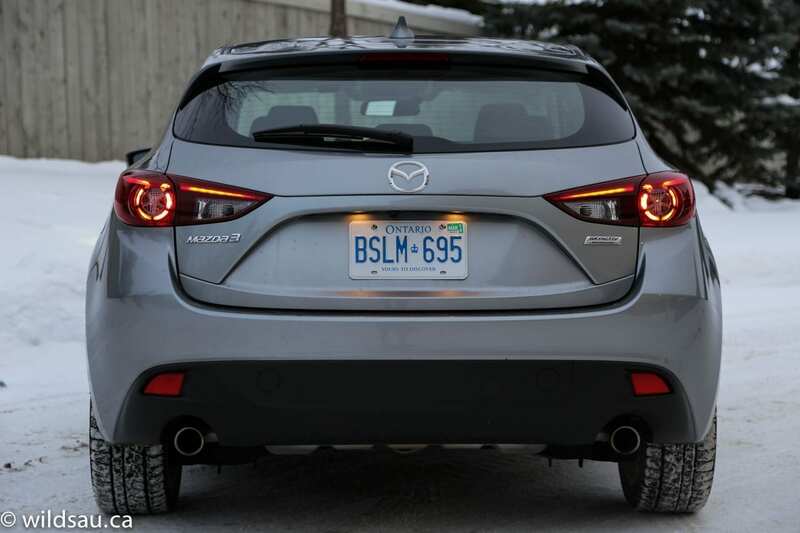 Visibility out of the Mazda3 is very good, except for shoulder-checking on the passenger side – the beltline swoops up and meets a large rear pillar to obstruct your vision there. 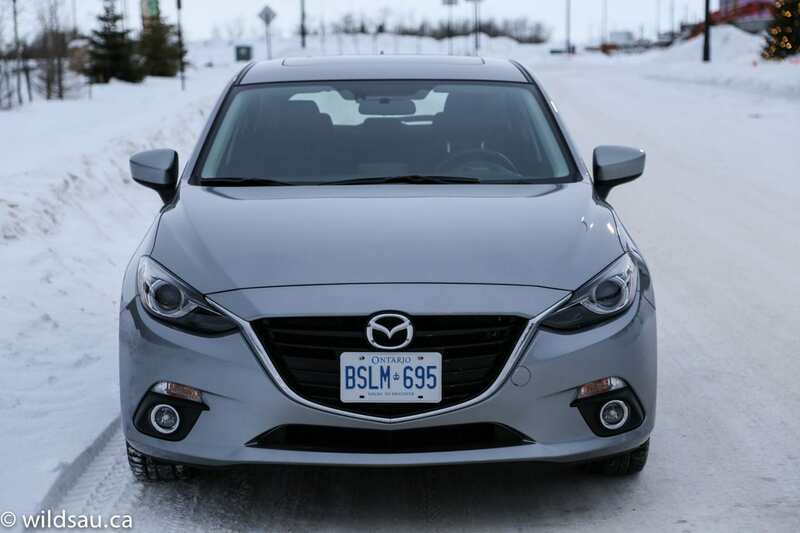 Much like the car’s exterior, the refined driving experience belies the category the Mazda3 actually competes in, and makes you think you’re in something more expensive. I liked the navigation system – it worked well. One thing that really stood out though was that the screen displays the next cross-road at the top all the time. It’s completely unobtrusive but you can always see what the upcoming road will be. The moment you cross that road, it shows the next one. Perfect for areas you’re not familiar with, even if you don’t have a destination plugged in. A convenient and thoughtful addition. I also enjoyed the favourite function. There’s a favourite button on the console, and it allows you to assign (and then quickly access) things you’ve set as your favourites, including radio stations, songs, navigation destinations and phone numbers. I’ve always liked the Mazda3. It’s been a smart purchase and retains its resale value well. The 2014 is a stellar redesign. It refreshes the exterior, making it at once a classic and modern shape. 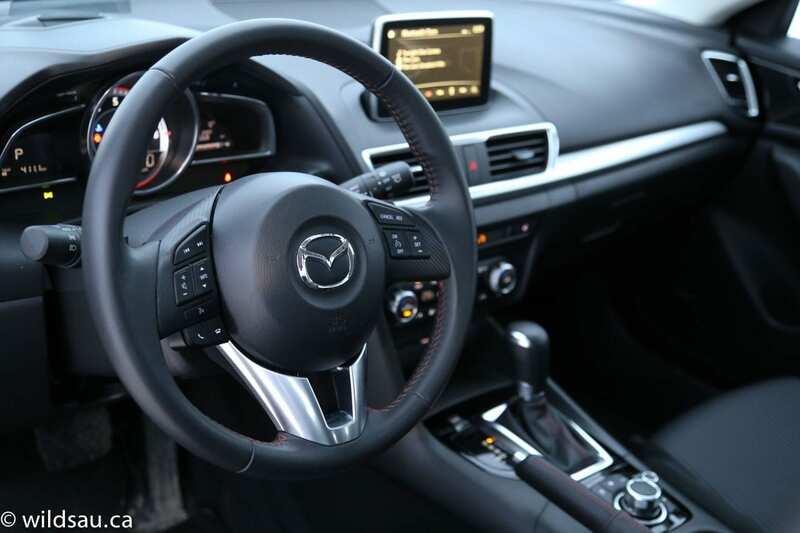 It takes a utilitarian interior and makes it modern as well, while retaining Mazda’s simple, basic approach to things. And it builds on an already great driving experience and ends up bringing one that’s simply outstanding. What’s not to like? I loved the car. I loved looking at it, I loved driving it. 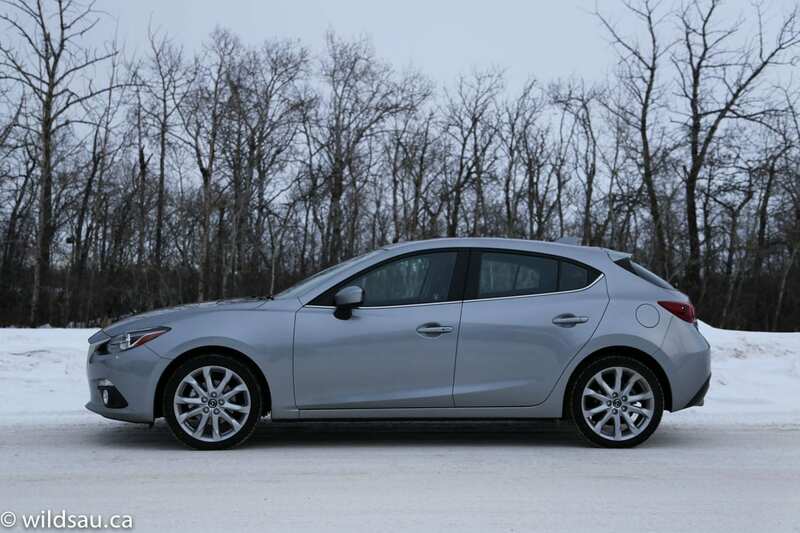 I give the 2014 Mazda3 Sport an 8.5 out of 10. WAF (Wife Acceptance Factor) was very high. She was the first to admit it wasn’t a great fit for our family, as the back seat was tight for three kids. But everything else was to her liking. She enjoyed the exterior styling, the large trunk and the easy-to-use technology. And she loved the driving experience, saying it was enjoyable and sporty. 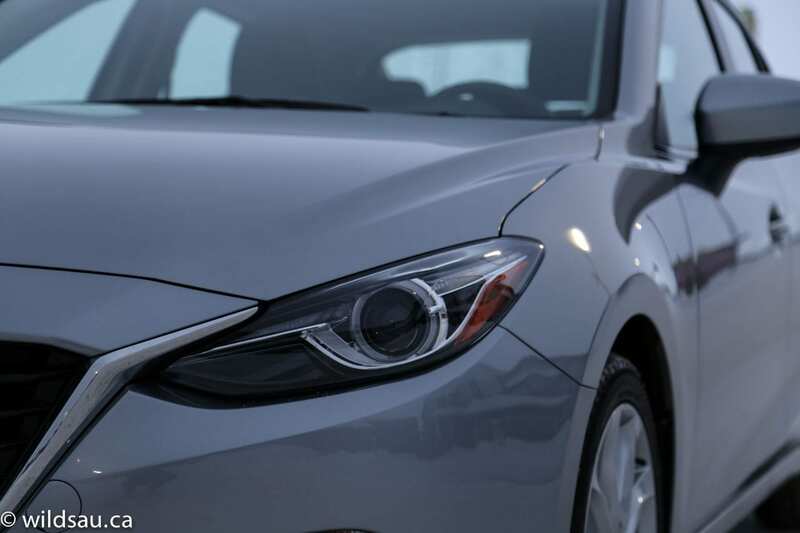 If you’re shopping in this class, you need to put the Mazda3 on your list – I wouldn’t be surprised if you picked it over the competition. It’s that good. Additional niceties like leather interior and a serious chunk of driver assistance technologies are available through two option packages. 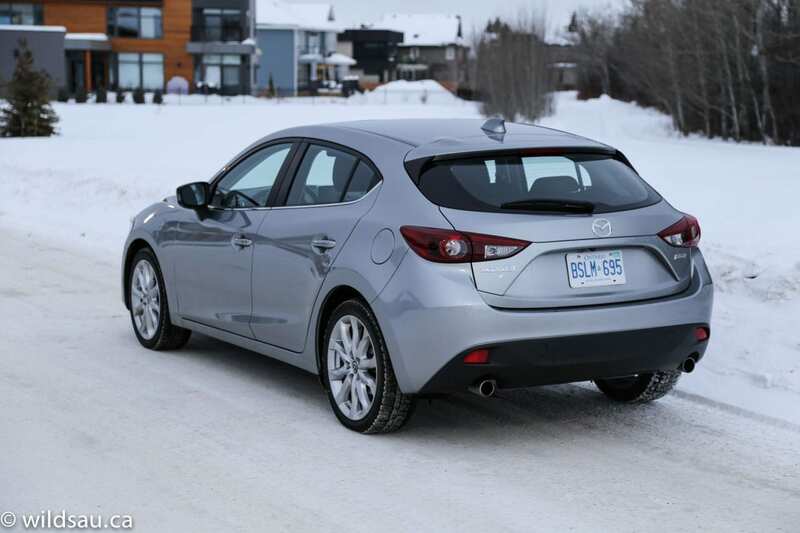 In the end, this review car was exactly how I’d set up my own Mazda3. 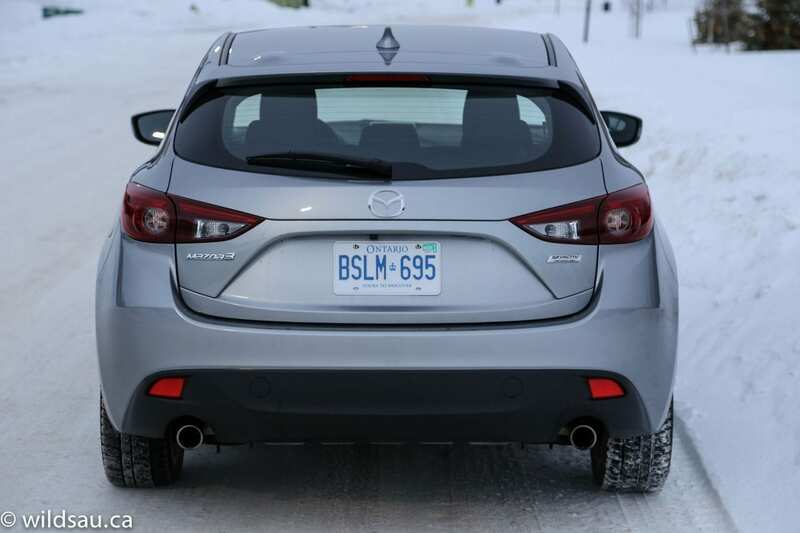 Disclosure: Vehicle was provided by Mazda Canada.